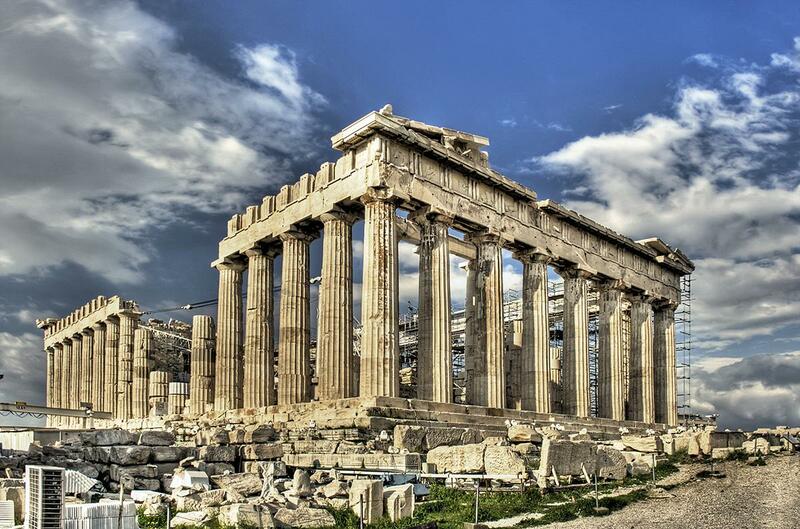 Acropolis is the emblematic archeological sight of Athens. This MUST see “holy mountain” has its origins from the Greek words “ACRO” which means edge and “POLIS” that means town. Acropolis is the rock surrounded by fences built by the ancient Greeks for protection from intrusions, where you can find The Parthenon, The Caryatides and The Herodion Theatre. Monastiraki area is the new upcoming area of Athens where the square attracts street artists and group of friends hang around. 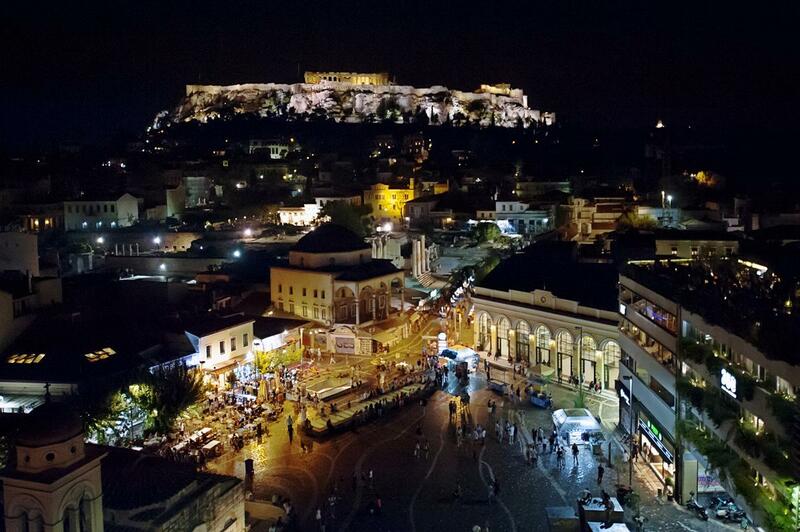 The flea market is near the square where you can find shops and street vendors selling from shoes till Greek antiques. Every Sunday the flea market gets bigger as more street vendor join. Bargain as much as you can! 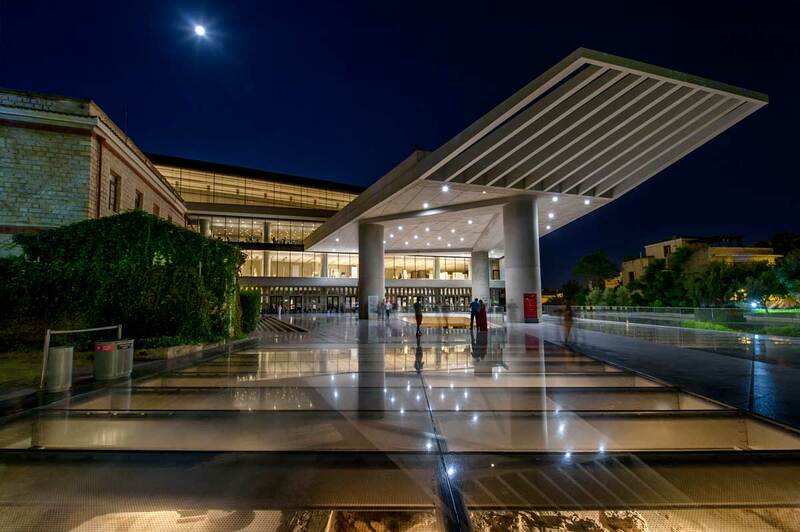 The museum of Acropolis, located below of the actual Acropolis open its gates to the public on 2009. The museum has been awarded and recognized worldwide and attracts the attention of the traveler no matter if he is a history seeker or not. The glass surfaces, the interior design and the exhibits create a unique experience. Don’t miss to do your pit stop at the roof top cafe. Drink your coffee like the ancient Greeks did. 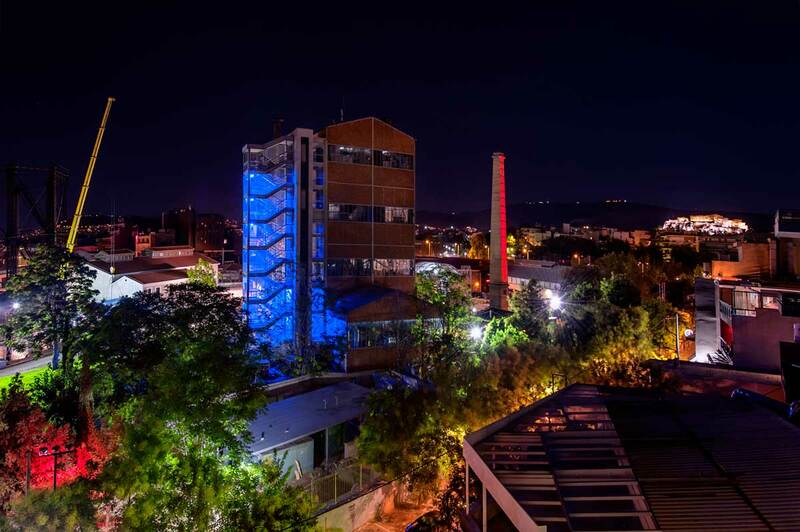 Gazi area is the vivid nightlife spot of Athens full of bars, clubs and cafes. You can find all kind of music such as mainstream, house, hip-hop and Greeks and foreigners blend in. It is an area that never sleeps and if you want you can party till dawn! The old Olympic Stadium known as “Kallimarmaro” is the stadium that the first Olympic Games took place at 1896. 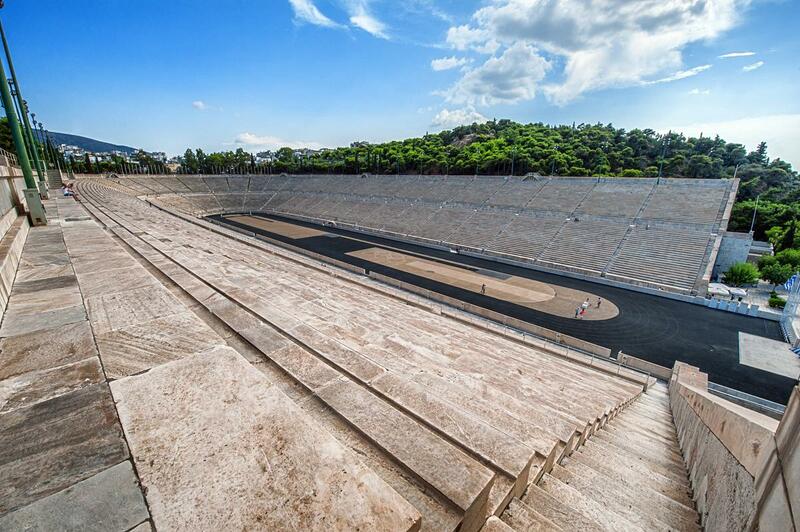 The stadium is full of marble (“marmaro” is the Greek word of marble) and is located behind the Syntagma square. You can easily observe it from outside without paying any entrance fee. 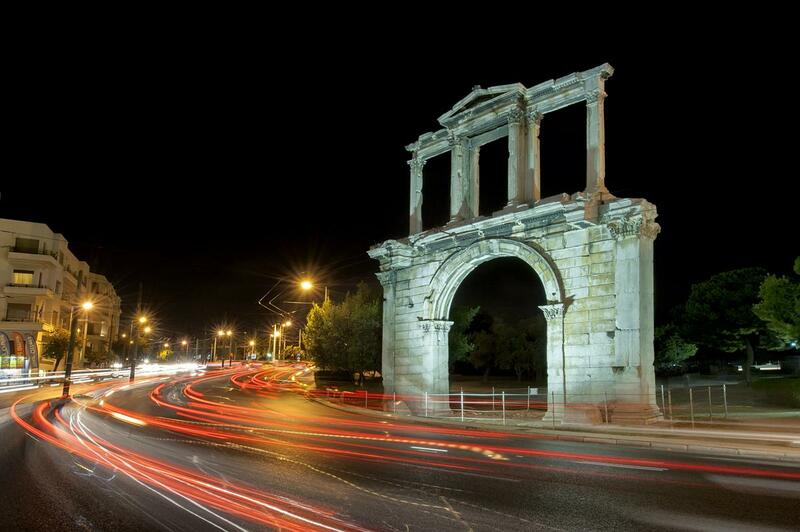 The Arch of Hadrian “Apsida tou Adrianou” most commonly known in Greek as Hadrian’s Gate is a monumental gateway resembling – in some respects – a Roman triumphal arch. You can find it in Athens downtown close to the Old Olympic Stadium. Lycabettus hill the sister mountain of Athens that tries to steal the glory of the famous Acropolis is located just opposite and has a cozy chapel on the top. The best place to take selfie and watch the sunset from the top.